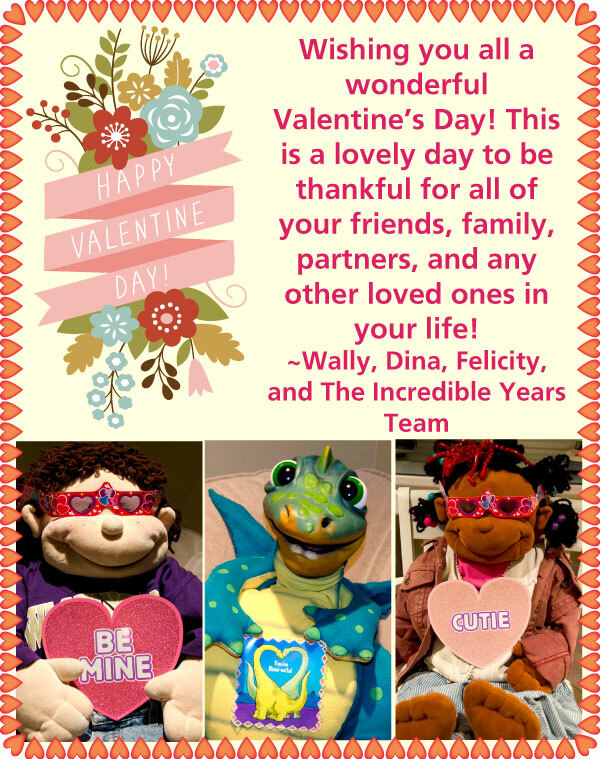 Happy Valentine’s Day, from Wally, Dina, Felicity, and the Incredible Years staff! Watch our fun Valentine’s Day Video, below, or by clicking here! Also, we sent out a newsletter earlier this week that included a fun Valentine Activity you can do with a group of children, along with some helpful tips for parents and teachers to foster children’s understanding of emotions. You can read the newsletter by clicking here! Categories: Incredible Years, Just for fun | Tags: Children, education, holiday, Incredible Years, Parents, Teachers, valentine, valentine's day | Permalink.